No one ever said that driving a luxury wagon had to be boring. The Audi A4 allroad has a muscular and inspiring exterior with a feature-rich interior to match. it has wagon functionality without the wagon feel and it is available in Albuquerque, starting at just $45,700. Audi is a name that's synonymous with sophisticated design. The new Audi S4 continues that tradition. The popular sports sedan has a beautifully designed exterior. It features a modern shape that helps to cement the car's sporty roots. Drivers can take a closer look at the S4 at Audi Albuquerque. 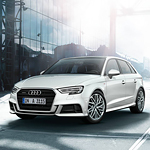 The Audi A3 Sportback e-tron comes equipped with a number of impressive technology features. The car's virtual cockpit has a large 12.3-inch screen that gives the driver the ability to customize the entertainment, navigation, and other features they want to see. Audi is known for impeccable design. 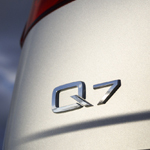 The company's notable design efforts continue on with the new Q7. This popular midsize SUV model makes its presence known on the roadways. Take a look at the impressive styling features of the Q7. 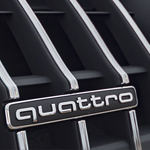 The exterior features of the Q7 are nothing short of impressive. The vehicle is fitted with a single-frame grille for a distinct look. There are also LED headlights for clear vision during the night. The vehicle's 21-inch, 5-blade wheels provide a smooth ride under the most difficult driving conditions. Those who are looking to purchase a quality used car should strongly consider buying a pre-owned Audi. Doing so may entitle you to the balance of the manufacturer's warranty, which can help you stay protected while driving on Albuquerque streets. The warranty can be transferred from the previous owner to the new owner assuming that it hasn't expired. When you drive an Audi Q7, you'll be riding in style. These luxury, mid-size sedans have been popular choices amongst our customers at Audi Albuquerque, and there are a few different trim options that we have to offer. 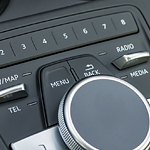 Not only are there fine touches throughout the vehicle that add to the overall cabin quality, but there are also numerous technological features included. The MMI Navigation is an all-around tool that lets you connect to your smartphone and get real-time traffic data at the same time. When you're looking for that next new car, it can be difficult to find the right set of features and performance. Our team here in Albuquerque understand that every driver's needs and tastes are different, and we can help you find the right new car. What do you look for when searching for a new car? Performance, technology, and design play an important part in your decision-making process, and our team here in Albuquerque can help you find the right vehicle for your driveway. The 2018 Audi A4 Sedan has a range of designs to match your style. The Black optic plus package can give this popular compact luxury car a sporty look. 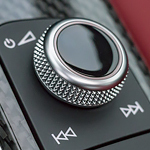 Some features such as piano black inlays and red stitching can give the A4 a sleek appeal. When you're in the market for a performance vehicle, you might focus on engine power or 0-60 mph time. For popular performance cars like the Audi S5 Sportback, however, high performance extends beyond the engine to design, safety, and technology. The Audi S5 has the great technology features you want for peak driving experience. Mentions of design are often followed by ideas of what is on the exterior. This is often the case when it comes to vehicles. However, often times the outside look of a vehicle can seem pretty typical. Even with S line exterior bodies such as the Audi A3 Sedan, the fun features are found on the inside of the vehicle.